The best way to deal with uncertainty is to stop fearing it. One of the biggest fears we deal with is the fear of not knowing what will happen if__and when__we don’t have enough data, don’t have information, don’t have an idea or clue or any guarantees of what will happen. But such a fear is unfounded. Think about it. There’s uncertainty all around us, all the time, in each moment. It is only the fickle human mind that imagines that it knows what’s going to happen in the next nano-second or in the immediate future. 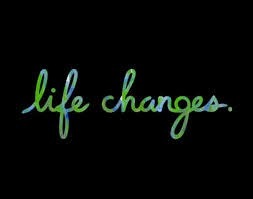 Life can and almost always changes with no prior notice! We have a friend who wants to postpone a vacation abroad because his son is in final year in high school. The postponement is to allow for the child to ‘settle down’ in Life. Someone else is worried about what will happen if the company he works for is acquired by a larger company in the same industry that has a notorious reputation for downsizing. An investment banker I know laments the state of uncertainty of his investments and says he has been on sleeping pills each night! All these people are postponing their present out of fear of an unknown future that they think they control. So, what is the predictability, certainty, that these people__or even you__are clinging on to? The assurance of financial security? Or perhaps the fear of its absence? Know this: Despite all that you think you control, nothing really is in your control. Definitely not Life! Know also that dealing with uncertainty is no big deal. You__and I__have been masters at this from the time we arrived on this planet. How did we survive the years we took to make sense of the world without knowing a thing? What if our parents were child-traffickers and not the noble souls that they are? Did we worry about our future then? What if we were left to die and were not picked up each time we bawled, demanding to be fed? Did we fear uncertainty then? Can you say with confidence that you will survive the next minute? What if there’s an earthquake? Or you have a brain hemorrhage? Dealing with uncertainty is therefore easy. Because you can say for sure that you will never ever know what will happen next. 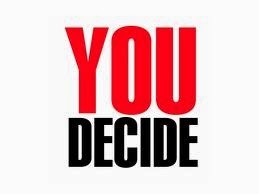 Despite all the steps that you take to control all that you can__you can never be sure what hand you will be dealt next in Life or that Life will deal with you fairly, squarely and predictably! Uncertainty is permanent. By fearing something that’s permanent, aren’t you being foolish? Instead, deploy the intelligence that’s embedded in you. Accept that your Life will change. What is now yours will be gone. What was never yours will come your way. What you wanted may go to someone else. What you never want will arrive in your Life. And even if you do get what you wanted, there are no guarantees that it will stay that way forever. So, stop suffering and fearing what you can never control or determine. Celebrate Life’s chameleon nature and revel in its possibility to change in a heartbeat! Author AVIS ViswanathanPosted on October 31, 2014 March 14, 2016 Categories Art of Living, Change, Fear, Inner Peace, Insecurity, Intelligent Living, Life's Chameleon Nature, Suffering, UncertaintyLeave a comment on Celebrate Life’s chameleon nature! Don’t just cling on to a relationship for the sake of society – learn to focus on loving, relating and yourhappiness! A friend of mine is going through a messy divorce. He developed an extra-marital relationship which, quite naturally, his wife objected to. My friend’s reasoning was that he had stopped enjoying being with his wife and found that he related better to his friend with whom he “wanted to spend the rest of his Life”. The three people in this story are in their mid-forties and are neither immature nor irresponsible. My friend’s friend, his lover, is divorced, and has a child; but she says she feels “secure and wanted” in my friend’s company. She’s not insisting that he marry her. All she wants is his companionship for the rest of her Life. My friend too sees her the same way. But my friend’s wife sees their relationship as scandalous and as a conspiracy to “rob her of all her wealth”. So, the divorce has gotten messy – my friend says he’s ready to accept a divorce immediately and is also willing to settle the financial aspects amicably but he simply refuses to allow “an extortion” by his wife. Therefore the matter drags on, for all three parties! If you distill the issue, it all began with an extra-marital relationship. And I guess if you look around, there are so many of them, extra-marital relationships, going around us all the time. Except most don’t turn up in the open. Even so, why is the polygamous tendency of humans subject to so much scrutiny and scandal? Why is it necessary, from a social point of view, that people suffer in bad marriages than be happy in newer, and even multiple, relationships? If you consider history, man has been polygamous. It is society that has imposed monogamy as a preferred code of conduct. Just as you can’t wear round-neck tees, shorts and sneakers in certain old-world clubs, founded by the British, in India, if you have to live in most societies in the world, you have to be monogamous. But that really is suppressing people’s freedom of expression, is holding them hostage to dead relationships and is, quite simply, killing love and happiness. What happens when two people come together is that they fundamentally enjoy each other’s company. It is their friendship that drives their being together. They may be different, as in most cases, but they can relate to each other. When that relating stops, one of them, or at times both of them, drift apart. When the drifting happens, they are not just seeking sexual satisfaction in a new partner, from a new companion, but they are looking to be happy with that other person. When they enjoy that other person’s company, they “engage” with that person. It is as simple as that. Now, while in some cases, people continue to relate to each other and enjoy each other’s companionship, in most cases, people stop relating to each other because both of them have changed. Or, at least, one of them thinks and believes the other has changed over time. 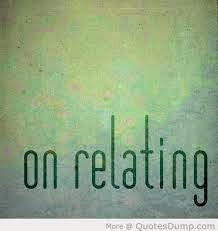 Which is what is causing the lack of relating between them. Osho, the Master, says that marriage has ruined society. He champions a new world where there is no marriage – but where there are only lovers! This may seem like a radical idea, the way society is today – but isn’t it better having a world full of lovers than a world that’s infested with co-sufferers and broken homes arising from broken, or even dead, marriages? The bottom-line in Life is to be happy. No matter who is causing you to be unhappy, you must simply move away from them. Suffering someone just to keep your image in an indifferent and couldn’t-care-less society is a grave injustice you will do to yourself. When you move away, or move on – if you will, have the courage to be open about your choice, have the integrity to go through a formal (if necessary, legal) and fair (especially if there are children involved) process of separation and be truthful to all concerned. By following through on your happiness, you may encounter strife in the short term, but in the long run everyone involved will be at peace. At the end of the day, isn’t that what really matters? Allow Life to work on you. Life’s endeavor is to make you better, stronger, useful and a work of art. So, allow Life the freedom to sculpt you. Not that you__or I__can resist it. Because even if you did, Life will still have its way. However, when you resist Life, you suffer. When you let go, when you permit free access, you are in pain, but you don’t suffer. Also, when you are not resisting, Life works faster. It sees your willingness as an opportunity to mold you freely. When you are willing you are like clay. When you resist you are hard, like stone. Breaking down stone, as you pretty well know, takes a lot more effort than molding clay. When you contemplate on death, and understand it to be the most predictable and inevitable aspect of your Life, you will start living instead of merely existing! This afternoon, while walking along Wallace Garden, in Chennai, we chanced upon a large, unique, black board outside the Tuscana Pizzeria. It had the words “Before I die” stenciled in a big font on it, followed by several “I want to _______________” prompts on it. Which is, anyone can write, what they want to do before they die, in the blank space opposite each “I want to” prompt. I filled the blank opposite my “I want to” prompt with “Live Fully!” My wife filled her blank with “Record a Song – Album!” Neither of us thought too much. We simply picked up the chalk piece provided beside the black board and shared our innermost feeling fluently. There was no holding back. And I believe that’s what’s most inspiring this idea – of expressing yourself freely, with absolute honesty, when you contemplate on death. Death is not a bad idea. It is not a depressing thought. It actually is an empowering, inevitable reality. A truth that none of us can hide from or avoid. Candy Chang, a Taiwanese-American artist, is the inspiration and the force behind the “Before I die” movement. 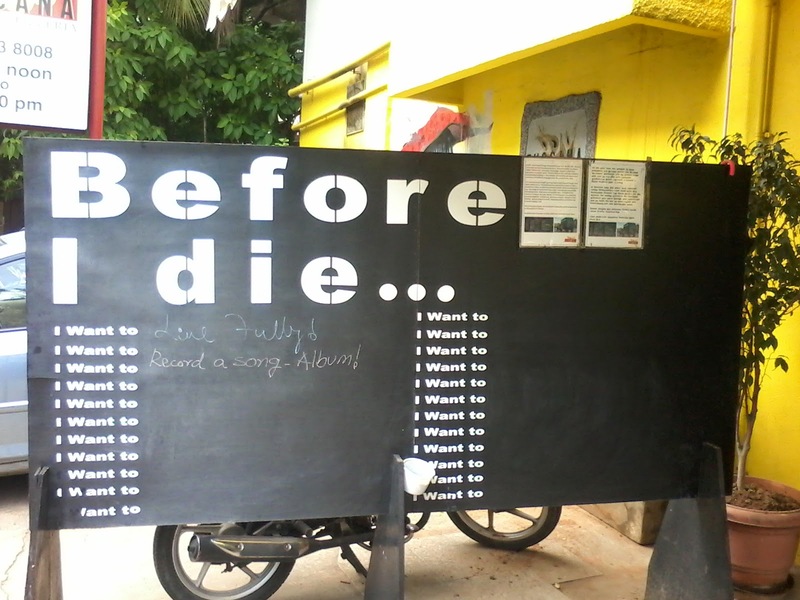 In 2011, after a period of intense grief and depression, which followed the loss of someone dear to her, she took the permission to paint the outer wall of an abandoned house in her neighborhood, with chalkboard paint and stenciled it with a grid of the sentence “Before I die I want to _______.” Anyone walking by could pick up a piece of chalk, reflect on their lives, and share their personal aspirations in public space. It was all an experiment and she didn’t know what to expect. By the next day, all 80 prompts were filled and responses spilled into the margins: “Before I die I want to… ‘sing for millions’, ‘plant a tree’, ‘hold her one more time’, ‘straddle the International Date Line’, ‘see my daughter graduate’, ‘eat more of everything’, ‘abandon all insecurities’, ‘be completely myself’…” People’s responses made her laugh out loud and tear up. They consoled her during hard times. She understood her neighbors in new and enlightening ways, and the wall reminded her that she’s not alone as she tries to make sense of her Life. After posting a few photos, she received hundreds of messages from people who wanted to make a wall with their community. She created a website with resources and now thanks to passionate people around the world, over 500 “Before I Die” walls have been created in over 30 languages and over 60 countries, including Kazakhstan, Portugal, Japan, Denmark, Iraq, Argentina, and South Africa. My wife and I, as is obvious, had stumbled upon the wall in Chennai. And let me confess, the experience has left me completely energized and enriched. We must often take time to pause and reflect on our lives. The problem with today’s lifestyles is that everything is so simple – and is increasingly getting simpler, thanks to technology – yet our lives remain more complex and complicated than ever before. Despite email, no one really responds or reaches out to others. Sharing has been reduced to letting others know what inane stuff you have chanced upon on facebook. WhatsApp and text messaging provide instant gratification but no warmth. Everyone’s busier than ever before but no one knows where they are going. Sometimes it’s even difficult for people to know whether they are going or coming. Contemplating on death, therefore, is an important reflection point. In fact, it can also be theinflection point in your Life once you realize that you don’t have all the time here – on this planet – which you, unfortunately, still believe you have! The awakening moment is when you understand that you are speeding towards your death, albeit at a different speed compared to others! That’s when, you will wake up, you will throw out all that’s – or whoever is – unimportant in your Life. And that’s when you will start living meaningfully, purposefully and joyously! So, what are you waiting for? What do you want to do before you die? Answer that question now – and just go do it! Author AVIS ViswanathanPosted on October 28, 2014 March 14, 2016 Categories Art of Living, Before I Die I want to, Candy Chang, Death, Empowering, http://schemas.google.com/blogger/2008/kind#post, Inner Peace, Intelligent Living, Tuscana Pizzeria, Wallace GardenLeave a comment on What do you want to do before you die? Set an example. 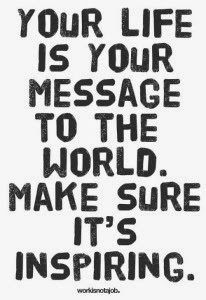 Let your Life be your message. To grow old, biologically, is no big deal. All of us will age with time. We have to make no effort. But to grow wiser, mature, and to apply our native intelligence, is both a big opportunity and a bigger responsibility. Recently, I was out with a friend who lit up a cigarette and chucked the empty cigarette pack on the street. While I chided him for his mindless action, I also picked up the trash and reached it to a trashcan at a coffee place we went to later. Another friend drove around town without wearing his seat belt, with me beside him in the front of his car fully strapped. We drove short distances together but I prefer being strapped. It is not about being subservient to law in either instance, but to be personally responsible__and accountable__for our actions. This perspective is so relevant in India at the moment because of the Swach Bharat Campaign that Prime Minister Narendra Modi is leading and because of the new traffic laws being rolled out. One of the reasons why people don’t believe either of these much-needed initiatives will do well, or even survive, is because many expect public participation and ownership to be completely lacking. Without people changing themselves, we can hardly expect any change in our society. Society is a reflection, a true one, of who we are. And the way we behave. So, in India, if we find our streets dirty, messy, and stinking with garbage mounds at each intersection, it is because we are an irresponsible population. If the cases of drunken driving, often leading to fatal accidents, is mounting among the younger (20 somethings) generation, it is because we parents are setting a poor example by way of our irreverent road sense. We may not always drink and drive, but we hesitate or don’t care enough to stop people__even in our immediate circle of influence__from driving without seatbelts or when they have imbibed a drink or two. Gandhi said, with absolute simplicity, “Be the change that you want to see in the world”. He also said, “My Life is my message.” These need not be viewed as sentiments expressed by a man whose ideas were only relevant in a different era, in a century gone by. These are also not ideals that are hard to emulate. They remain as relevant as they once were and are an opportunity, in fact, a clarion call, for personal transformation. We don’t have to be leaders to set an example. We don’t have to be visionaries to have a message. We must lead though, our lives, with maturity and with a complete sense of responsibility__cognizant always of the kind of example we are setting to the generation that is following us and of the message it is reading of our Life! When you realize that Life is a gift, you will learn to stop wanting to control it! Last evening our daughter was performing in a dance-theatre production. Several of our friends had bought tickets and had come to cheer her and her dance company. As the show was set to begin, and we walked towards the gates, my wife and I were advised, by a crew member of the dance company, to take the gate further ahead. It, we soon realized, was the VIP gate and offered the best views in the auditorium. Our friends had gone through their respective gates (depending on the denominations of their tickets) and had taken their seats. As we waited for the show to commence, a pang of guilt pierced through me. We seem to have unwittingly deserted our friends, I thought. 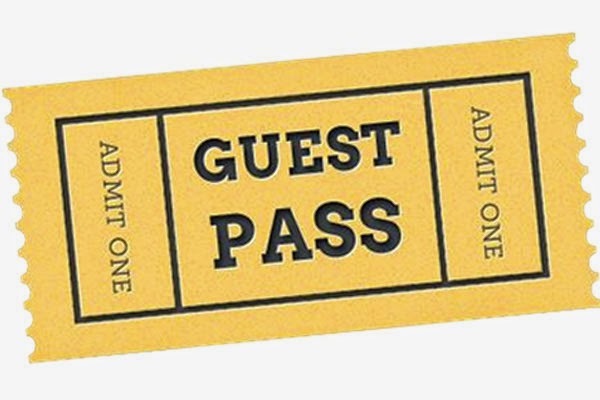 Then I reasoned to myself that the only option we had – given our current financial situation, we didn’t have the means to buy tickets ourselves – was to celebrate the fact that we have VIP, “parents’ complimentary” tickets that our daughter’s dance company had offered us. So, indeed, the best thing to do was to sit back and enjoy the performance! Soon the show got underway and I lost myself in it. On the way back home, my thoughts went back to our “complimentary” tickets. And as I kept thinking about them, I suddenly wondered: “Isn’t this whole Life complimentary? Isn’t it a gift we never asked for?” That realization was awakening. And I chuckled to myself. If only we held this awareness consistently in us, I thought, Life would be so much simpler living. Most of our young adulthood is lost in “building a career” and “raising a family”. Then our middle-age is spent in “settling down” our children. And post-retirement is really about “managing to cope with our health situation” and if we live any longer, most of us treat that time as “waiting for death”. Very few people actually manage to do both – which is get about issues like career, family, money, dealing with a Life-changing crisis and such and yet live a Life that they love living. This minority comprises those who have really understood that Life is a gift and we must live it fully – learning from each experience and enjoying each moment! Each of us has this opportunity, without doubt, but we must learn to not want to control Life and take it as it comes – one day at a time, one experience at a time. The episode of our complimentary tickets brought my focus back, yet again, to the complimentary nature of our Life itself. At a physical level, given our financial challenges, my family is able to survive day-after-day only because of “acts of the Universe and the kindness of fellow human beings”. At a spiritual level, we understand that nothing really belongs to us. We are just guests on this planet, who are traveling this journey, this complimentary journey, called this lifetime! So when we came with nothing, when we own nothing, and when we will soon have to leave empty-handed, what’s the point in trying to control anything? When you understand that this whole Life you have is complimentary, that it is a gift, you too will learn to sit back and enjoy it! Just as the way you would enjoy a show for which you have free VIP tickets! No object of desire is the cause of any agony in itself. It is your craving for that object that makes you suffer. Take for instance, a hot summer day. And you are thirsty. You see nice juicy watermelons on the street and want to stop your car. But you find the parking slots by the stall crowded and you see a policeman standing under a tree nearby. You believe the cop will object to your parking your car outside of the earmarked space. You are miffed and drive away cursing the crowds and the cop, ruing the missed opportunity to take some of those melons home. Even when you narrate this experience to your wife when you get home, you are complaining and are not merely reporting. There’s a sense of loss and evidence of frustration in your reportage. Now, did the humble melon on the street cause your agony or did your craving for it__and your eventual inability to buy it__cause it? Think about it. All of us are victims of this cravings-brings-suffering trap. What we crave for is not the cause, it is the act of craving that causes misery. We crave for attention, adulation, understanding, respect, fame, rewards, recognition, wealth, opportunity, love and followership. And when we don’t get it, we are disappointed. 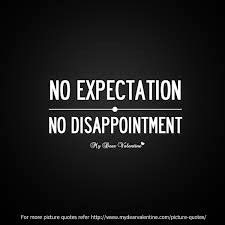 Now, if you are disappointed and if your disappointment doesn’t affect your Life, it is fine. But when you are disappointed, you are mourning. Your energies are low. You start operating in a low energy__scarcity__spectrum. This naturally affects the way you live and experience Life. On the other hand, consider the situation when there is no craving, and so there’s no disappointment, so there’s no suffering. In such a scenario, you are operating in a high-energy__abundance__spectrum. Remember: Wherever your attention goes, your energy flows. In Buddhist teachings, they advocate the complete cessation of craving. Which means to eliminate all craving. In Japanese, the word wotsubusu means to annihilate. When you wotsubusucraving, you feel liberated. Such freedom opens up a whole new opportunity spectrum of playing to your strengths – to what you have. Than to worry about, lament over, what you don’t have. Simplify Life: Give up the craving. And you will immediately stop suffering! Author AVIS ViswanathanPosted on October 25, 2014 March 14, 2016 Categories Agony, Art of Living, Craving, Desires, Expectations, Inner Peace, Intelligent Living, Suffering, Wants, wotsubusuLeave a comment on “wotsubusu” craving, feel liberated!